This book arose out of a series of articles which appeared in The Evangelical Magazine, published by The Evangelical Movement of Wales. 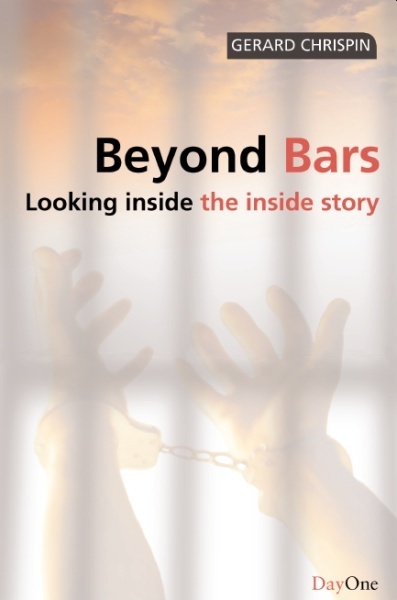 The author was encouraged to expand and develop the material, to illustrate the prison work started under Day One Prison Ministries and then continued and expanded by DAYLIGHT Christian Prison Trust, in association with Day One Prison Ministries. In demonstrating the power of the gospel to ‘set the prisoners free’, this book makes no extravagant or exaggerated claims. It is a real eye-opener, giving glimpses of robbers and rapists, murderers and violent thugs, as well as illegal immigrants and others guilty of ‘white collar crimes’. Read of prisoners gladly accepting Christian literature, hardened criminals listening attentively to the gospel, and some prisoners being transformed by the power of the gospel and going on to lead reformed lives that demonstrate the biblical truth that ‘if anyone is in Christ, he is a new creation. The old has passed away; behold, the new has come’. Read also of the heartache of seeing those believed to have been converted to Christ not going on with God. At one point the author asks, ‘How involved is the Christian church in prison and prisoners?’ The story of this prison work points to ways in which many could respond to the challenge. From its foundation, Gerard Chrispin directed Day One Prison Ministries and now directs DAYLIGHT Christian Prison Trust, which grew from that work and still works in close association with it. A former criminal lawyer and manager, Gerard is a Bible teacher and evangelist. He is an Associate Evangelist of Young Life, an itinerant pastor with the Fellowship of Independent Evangelical Churches, and former Chairman of both United Beach Missions and its European subsidiary, Missions Vacances. He has authored three books for Day One—Philippians for Today—priorities from prison; The Resurrection—the unopened gift; and more recently Day One’s largest book published, The Bible Panorama—plus a series of much-used evangelistic booklets. A former keen rugby player and cricketer, he is married to Phillippa, is a father of three, and a doting grandfather of five. In a unique way, Gerard Chrispin skilfully uses down-to-earth, up-to-date language to retell familiar Bible stories, then synchronizes them with modern case histories. The result is twofold: one is clearly reminded that there are no ‘new sins’, only the old ones in modern dress, and that not even the deepest-dyed sinners are beyond the reach of God’s sovereign grace.